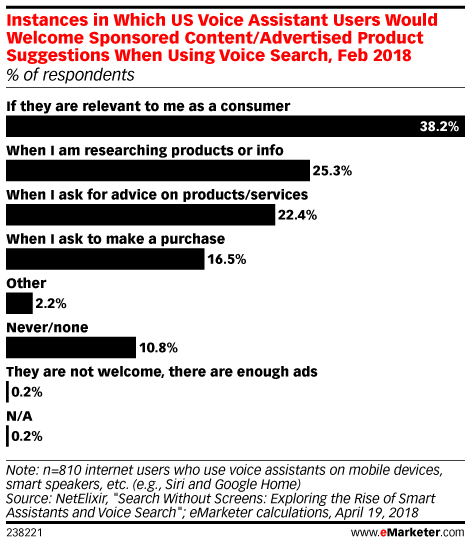 Data is from the April 2018 NetElixir survey titled "Search Without Screens: Exploring the Rise of Smart Assistants and Voice Search." 1,000+ US internet users ages 18+ from the Google Consumer Surveys Publisher Network were surveyed online during February 12-15, 2018. Respondents used voice assistants on mobile devices, smart speakers, etc.